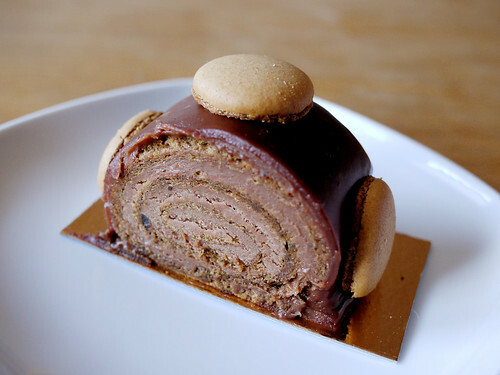 We never noticed the gateau roulé or "roll cake" at FPB before, but they look so cute, we couldn't resist. It's a bit too much filling, not enough cake for our tastes, but the cream is admittedly lovely in texture and flavor despite it being, again, a bit too sweet for our liking. It's like eating an eclair without the crispy choux. It's certainly a decadent and happy way to end the week. Oh my god i just woke up and i am really hungry. That looks really lovely.